Inside the shop, there were 8-10 fairly desirable classics in various states of repair: a 1957 Chevy convertible, an early 50’s Chevy and a highly customized Datsun 620 pickup among them. I learned the father had a body and repair business, working out of his backyard for many years before his passing. At this point Alan began to warm up a little, offering me a can of soda as we walked over to look at the Scarab. I’d schooled myself on what to look for to verify this was indeed a factory car. The first thing I was looking for was an ID plate with the car’s number inscribed. I found that quickly, verifying this was Scarab #160, one of the later cars produced. 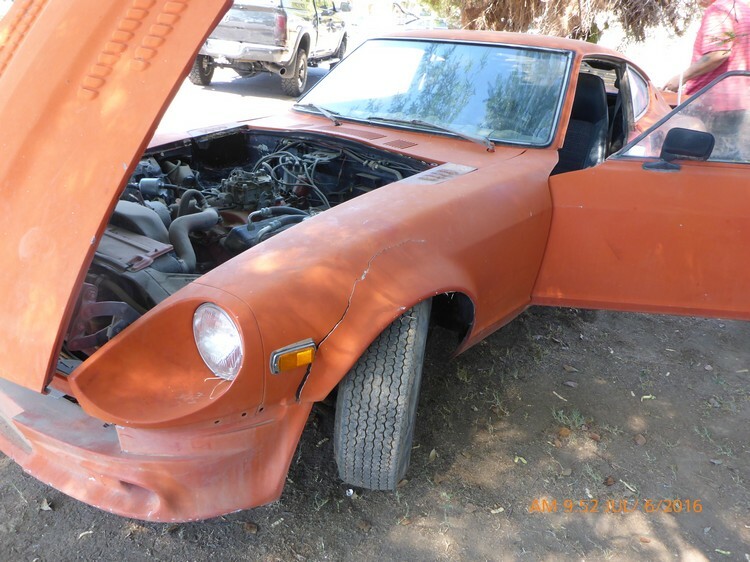 The car was a 1975 280Z that had been converted to a factory Scarab in December of 1979. There were several Scarab-specific parts missing from the car, including the metal Scarab badges on the sail panel, the fender nameplates and the Scarab valve covers. 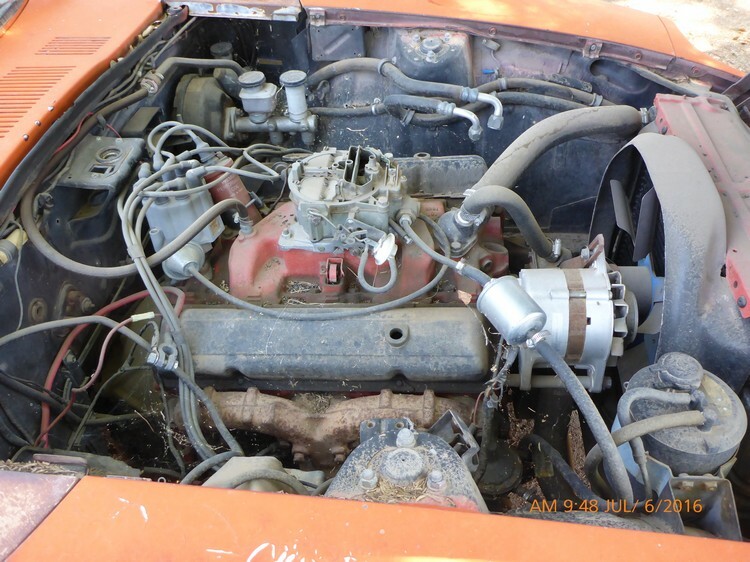 Though the car had clearly been stored outside for some time, the body looked mostly rust-free and appeared to still have the factory installed 350 V-8 in the car. Alan said the car had been in an accident and brought to his father’s shop for repair. The father eventually acquired the car but didn’t have a title. I didn’t see any obvious signs of damage or repair, but I didn’t have the opportunity to look underneath. I took a number of photos as we talked for a few more minutes. At this point during our meeting, out of the blue, Alan confided having served 13 years in prison for second-degree murder before his release in 2005. Before I left, I asked what he was asking for the car. He said $6,000. 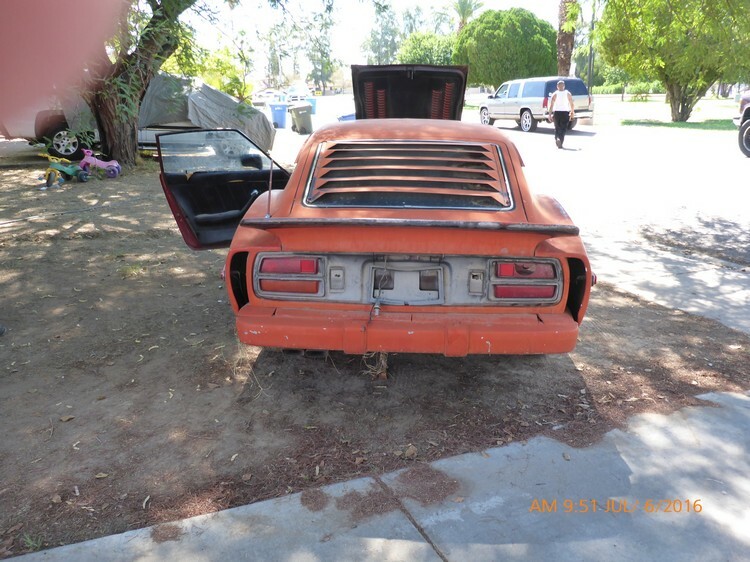 I was initially prepared to offer up to $4,000, calculating the cost of getting a title, finding or re-manufacturing the missing parts and restoring the car. I was heartbroken I wasn’t able to make a deal, but I simply couldn’t justify paying that much at the time for a car that needed so much. 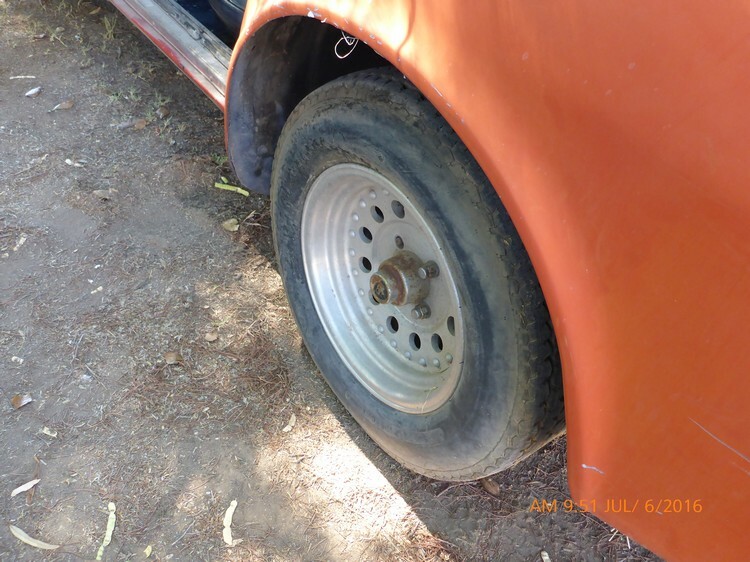 For some time after that I held out hope Alan might reconsider and call, but I never heard from him and eventually forgot about the car until June of 2016, seven years later, when the market for Japanese classic cars was on the upswing. Join us for Part 4!